Singapore, 1st February 2017 – Following our press release yesterday, we are excited to announce the newest singing competition – I’Sing to all music lovers and talents in Asia! 24 countries including Singapore, China, Hong Kong, Macau, Taiwan, Myanmar, India, Malaysia, Indonesia, Philippines, Vietnam, Australia, New Zealand, Nigeria, Kazakhstan, Cambodia, Brunei, Thailand, Nepal, Dubai, Japan, Sri-Lanka, Russia, Kyrgyzstan and Bangladesh will be participating in this event and running their country trials in 2017. 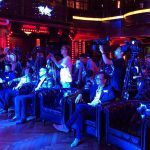 The i-Sing Asian Finals will be held in Myanmar in September and at the same time, we will be organising the World Finals in Hong Kong in December. Both dates and venue to be announced again in March. 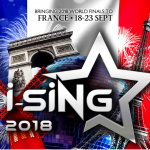 i-Sing is an APAC-wide singing competition which we aim to promote singing talents in individuals who aspire to shine and showcase themselves on the world stage. The competition includes solo and group category and anyone ages 18 to 45 years old are eligible to join the event. The 24 participating countries will be organising their country trials individually and the Country Winners will be sent to the i-Sing Asian Finals in September. And what’s more exciting is that the Champions of each country will get the opportunity to participate in a World tournament in Hong Kong in December and stand a chance to win the world title under their belt. 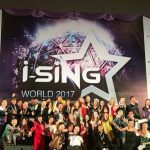 For registration and details about i’Sing, please stay tuned to the new website, www.i-singworld.comwhich will go live on Monday, 6th February 2017. 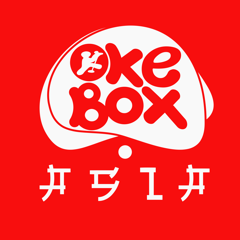 In addition, our major Sponsor will be revealed soon. 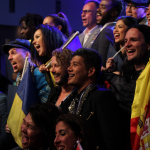 We are delighted to bring more talents to the world stage as we always do!